Many courses are taught by adjunct professors (professionals in their field who teach on a part-time or course-by-course basis). The following professors regularly teach in the Department of Journalism. A serial graduate of the University of Florida, Ellen is committed to teaching and mentoring undergraduates and graduates as they develop their identity and skill as storytellers and future community leaders. Her academic background focused on linguistics, anthropology, journalism and education. Working as staff at the College of Journalism and Communications for the past seven years, Ellen has helped build a community for change makers dedicated to creating lasting social change. She now manages the most significant annual public interest communications conference for strategists, scholars, leaders and communicators working in public interest communications: the frank gathering. She is also a team member of the frank academy, a hands-on public interest and strategic communications training for non-profit and community leaders, scientists and grantors, funders and activists. Ellen spent the first two decades of her life in Venezuela, the third decade in Gainesville and the following two decades in the West Indies, where she raised her family. Her career includes editor and art director at the Alligator, public education officer and marketing coordinator for branches of the City of Gainesville and administrator of Island Academy, an International Baccalaureate school. ‘Batesy’, as ‘The Head Ball Coach’, Steve Spurrier, calls him, teaches a play-by-play/TV-host course. He played college football at the University of Florida as a middle linebacker, where he attained All Southeastern Conference status and was a captain of the Florida Gators’ 1996 national championship team, while graduating with a telecommunication degree. In October of 2014 he was inducted into the Florida / Georgia Football Hall of Fame. Between hosting, play-by-play and analysis for over a dozen different networks, James has logged thousands of hours in front of the camera and has 3 Emmy Awards to show for it. He is also very proud of his work behind the camera, as he has produced and directed many documentaries, most recently a five part series, “Here Come The Gators” featuring Billy Donovan and Gator basketball for Sun Sports. Andrea Billups is a freelance journalist, author and master’s graduate of the College. Her award-winning reporting, spanning more than two decades, has been featured in such publications as PEOPLE magazine, Money, Reader’s Digest, as well as in several legacy and digital media outlets around the country including The Washington Times, the Washington Post and Zap2It.com. A native of West Virginia and graduate of Marshall University, she has been a frequent television and radio guest, chatting about the intersection of celebrity, pop culture and politics after seven years spent reporting from Washington, D.C. Most recently, Billups, who has worked as editorial consultant to several businesses, has channeled her passion for style and entrepreneurship to launch the lifestyle and accessories brand, Be Brilliant (BeBrilliantBags.com). She Tweets, often sharply, @princessmouse — and no, she won’t be changing her handle to sound more like a grown-up. Braddock earned a Ph.D. in Mass Communication from UF in 2013 and has continued her research agenda to include conference papers and publications in the fields of intercultural communication and health communication. Prior to her work in the faculty and research side of academia, Braddock held staff and management positions at a university and an international logistics provider, both located in Savannah, GA. While continuing her research interests, Braddock has also been working in the field of social media as a part-time blogger and social media consultant. Drawing from her previous work on Facebook use, she has begun the process of building a new area of research with social media platforms for pursuit in the near future. A theorist at heart, she looks forward to bringing real-world, current experience with social media to the virtual classroom setting as she guides students through an exploration of mass communication paradigms. 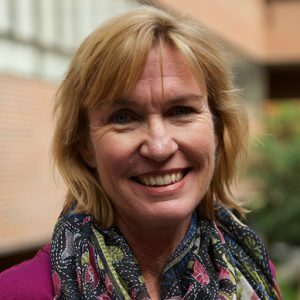 She teaches Mass Communication Theory and World Communication Systems, and she has previously taught Public Speaking, Interpersonal Communication, and Professional and Business Writing. 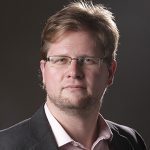 Tom Burton is an independent photojournalist and filmmaker based in Lady Lake, Fla. and is assistant editor for the National Press Photographers Association which represents the interests of photojournalists working in both print and broadcasting. Burton is the former Director of Photography/Video at the Orlando Sentinel. He directed award-winning coverage of the end of the space shuttle program and was the coordinator for courtroom pool photography from the trials of Casey Anthony and George Zimmerman. He also edited coverage at multiple sporting events including Super Bowls, BCS Football Championships, NCAA Final Four, NBA Finals and numerous NASCAR races. Burton was among the first newspaper photographers to introduce video into daily coverage and since then, he has trained journalists in multimedia journalism. As a photojournalist, he is veteran of a wide range of assignments including political campaigns, natural disasters, special projects and conflict zones. 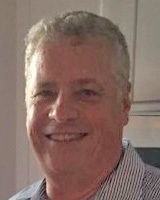 In addition to his time at the Sentinel, Burton has worked for the Citrus County Chronicle, The Gainesville Sun and the Lakeland Ledger. He is a Florida native and a UF graduate. 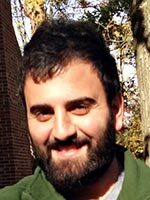 Andrew Caplan is a journalist at the Gainesville Sun, covering local politics and city government. He graduated from the University of South Florida – St. Petersburg earning a degree in mass communications with a focus in journalism and media studies. His first job was at the Citrus County Chronicle, where he worked as an education reporter and on the copy desk doing page layouts. Soon after, he found himself at the Tampa Tribune before ultimately moving to Gainesville. He has freelanced for the Tampa Bay Times, Weekly Challenger and Orlando Weekly, among other publications and had several local stories picked up by the Associated Press. As a reporter, Caplan has covered a range of beats that also include crime, music, government, the NFL, MLB and college sports. He has interviewed former President Bill Clinton, MLB Commissioner Rob Manfred, Red Sox legend David Ortiz and NFL stars that include Drew Brees, Joe Flacco and Jameis Winston. Kelly Chernin received her doctorate in Mass Communications from Pennsylvania State University (2017). Her dissertation, After a Rainy Day in Hong Kong, focused on Hong Kong’s political and social conditions following the 2014 Umbrella Movement. She has also written about this topic for The Conversation. Chernin is an advocate for public scholarship as well as international student education and outreach. She is also the recipient of the Don Davis Ethics Award. In addition to teaching a summer course for incoming international graduate students, she has taught teaching for Mass Communications and lab sections for Multimedia Writing. She has spent extensive time abroad and incorporates this experience into teaching and research. Jason Cole is considered one of the top NFL reporters in the country and is a selector for the Pro Football Hall of Fame. Prior to BleacherReport.com, he worked for Yahoo! Sports, The Miami Herald and the Fort Lauderdale Sun-Sentinel. He is the author of three books and is currently helping Hall of Fame quarterback John Elway write his autobiography. Cole wrote Giant with wide receiver Plaxico Burress, Ocho Cinco with wide receiver Chad Johnson and Heart for the Game with Simon Keith. Keith, a former professional soccer player, is the first man to ever play professional sports after having a heart transplant. Cole also assisted in the writing of books with Art Briles, Rex Ryan and Tony Siragusa. Prior to covering the NFL as a whole, Cole covered the Miami Dolphins for 15 years for both The Miami Herald and the Fort Lauderdale Sun-Sentinel. 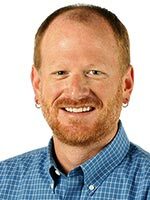 His work has earned numerous awards and honors from arguably the most prestigious group in sports journalism, the Associated Press Sports Editors (APSE). He has also earned numerous awards from the Pro Football Writers of America, earned a Green Eyeshade award and numerous honors from the Florida State Sportswriters Association.Cole and Charles Robinson combined for a five-year investigation, exposing former USC running back and Heisman Trophy winner Reggie Bush’s receipt of approximately $300,000 in cash and other benefits during his final season in college in direct violation of NCAA rules. The investigation eventually led to Bush becoming the first person to relinquish his Heisman and USC was stripped of its 2004 National Championship in football. Cole, a 1984 graduate of Stanford University, regularly does more than 400 radio and TV appearances a year on stations around the country to talk about the NFL and his other work. He teaches sports writing and investigative reporting at the University of Florida. Darlena Cunha is a freelance journalist, contributing regularly to TIME, The Washington Post and The Atlantic, amid many others. She graduated from UF with a master’s degree in mass communications, and holds a B.S. in Ecology and a B.A. in journalism from UConn. 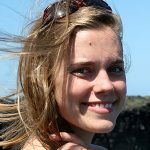 As a freelancer, she writes news, features and opinion about politics, social justice issues, health and science, business and money, technology, food, travel, and literally everything else for publications such as The New York Times, The Guardian, Marie Claire, The Boston Globe and Parents Magazine, plus dozens more. Her work allows her to be a frequent guest on radio and television news shows from CNN to Breitbart to NPR. Before becoming a multimedia freelancer, she worked as a television news producer in large markets such as Boston, San Diego and New York City for nearly a decade. She lives in Gainesville with her husband, her twin daughters, and her dog, but is originally from Connecticut. Daron Dean has been a working photojournalist since graduating from UF with a B.S. in Journalism in 2004. 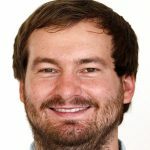 Born in Florida, he’s interned for The Gainesville Sun, the Anchorage Daily News and The Dallas Morning News before joining the staff at The St. Augustine Record in August of 2006. He continues to work as a correspondent for The New York Times, Wall Street Journal and Thomson Reuters. His photographs have appeared in every major newspaper in the U.S. and others in more than 30 countries. His magazine credits include Audubon, Men’s Health, Popular Photography, Ranger Rick, Sports Illustrated and Time. His work has been included in shows at the Smithsonian National Museum of Natural History in Washington D.C. and Florida State Museum of Fine Arts in Tallahassee. Dean has been an Adjunct Professor at UF since 2011, teaching Advanced Photojournalism I in the Fall. 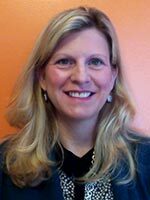 Karen Dooley is Director of Advancement Communications for UF Health where she oversees and coordinates fundraising and alumni communications, most specifically for the College of Medicine and the UF Health clinical operations. Dooley joined UF in 1996 as a writer for the News and Public Affairs Office. She also worked for the Institute of Food and Agricultural Sciences as a science writer before becoming editor of the College of Medicine’s alumni magazine, Florida Physician. 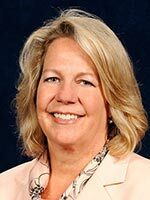 Dooley received the Robert G. Fenley Writing Award from the Association of American Medical Colleges in 2010, and her work has been recognized by the Council for the Advancement of Education and the Florida Magazine Association. As an adjunct faculty member in the College of Journalism and Communications, Dooley serves as a writing lab instructor for JOU 3109. Tim Drachlis worked for 31 years in newspapers as a reporter and an editor. 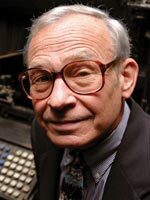 He spent 28 of those years at Newsday, where he held numerous editing positions. Most recently, he served as assistant managing editor and supervised a staff of reporters and editors who produced all the local content for both the paper’s website and its print editions. In that role, he planned the award-winning coverage of countless news events, including three hurricanes, a papal visit to North America, the Boston Marathon and Pulse nightclub attacks, and two fatal train wrecks. His staff won nearly 100 journalism awards and Newsday was named an Associated Press newspaper of distinction three times. He also was a leader in speeding up how stories were posted online and helped develop a production system that allows different versions of an article to be posted simultaneously to the phone, tablet and desktop. Before becoming assistant managing editor, he was a member of the team that won Pulitzer Prizes for breaking news in 1992 and in 1997. He edited three other Pulitzer winners – international reporting in 1992 and 1993, and explanatory reporting in 1996. While news editor, he was a Pulitzer breaking news finalist in 2004 for Newsday’s coverage of the Northeast blackout and a public service finalist in 2008 for the paper’s expose of dangerous Long Island Rail Road platforms. His journalism also has been honored by the Society of Silurians, the Deadline Club, the Long Island Press Club, the Society of News Design and the Associated Press. From 2000 to 2007, he was in charge of the Sunday edition and edited all of the paper’s enterprise and investigative projects. Before coming to Newsday, he was a reporter and then a copy editor for the Omaha World-Herald. Since 1998, he has taught college courses in reporting, writing, editing and news design. A frequent guest speaker, he has given presentations on graphics, online journalism, reporting, editing and story coverage. He is a graduate of the University of California, Berkeley, where he received a bachelor’s in history, and Northwestern University, where he earned a master’s in journalism. Jason Farmand is a designer and principal at Orlando-based Hatchet Design, a studio specializing in branding, print and web. During his 12-year career, he’s done work for a wide variety of clients, such as the American Cancer Society, Walt Disney World, University of Florida, Ace Hardware, Second Harvest Food Bank, UF professor Ted Spiker, and numerous James Beard award-winning chefs. His professional specializations include typography, publication design, branding and front-end website development. In 2010, Farmand joined UF professor John Kaplan as creative director on Kaplan’s film project, Not As I Pictured: A Pulitzer Prize-Winning Photographer’s Journey Through Lymphoma. Farmand’s work on the project helped it win a number of Addy awards, and—more importantly—helped get more than 6,500 free copies (and counting!) of the film into the hands and homes of anyone touched by cancer. Farmand teaches Design and Advanced Design and is a proud alumnus of the UF J-school (BSJ 2003, MAMC 2007). He lives in Orlando with his wife, Katie, and 2-year-old daughter, Hazel. Gary W. Green is the deputy news editor of WUFT News and digital director of University of Florida’s Innovation News Center. Green came to the College of Journalism and Communications in 2014 from the Orlando Sentinel, where he worked for 12 years as a photo/video editor, multimedia producer and senior photojournalist. Before joining the Sentinel, he worked for several newspapers, magazines and wire services in Florida, Ohio and Kentucky, culminating in over 20 years working as a visual journalist. His portfolio includes coverage of some of the biggest stories of the last two decades, including Sept. 11, deadly hurricanes, presidential campaigns, space shuttle launches, controversial court trials and sporting events, including seven Super Bowls, NCAA Final Four championships, NBA playoffs and the NBA Finals. His work has been published by numerous national newspapers, magazines and websites including: Time, Sports Illustrated, New York Times, The Washington Post, Sporting News, USA Today and Huffington Post as well as several international publications. His journalism has been honored by the American Society of News Editors, Associated Press, National Press Photographers Association, Ohio News Photographer Association, Florida Society of News Editors, Ohio Prep Sports Writer’s Association and Associated Press Sports Editors. He is a graduate of Ohio University’s School of Visual Communication and has a Master’s degree in mass communication from UF. His thesis explored the opportunities and challenges posed by the digital disruption of legacy newsrooms. He teaches News Center Practicum in the Innovation News Center and Advanced Multimedia Narratives. 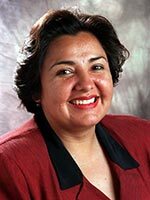 Lillian Guevara-Castro is the former features editor at The Gainesville Sun and the Ocala Star-Banner, where she also worked as a staff writer and editor since 1992. Other positions she has held at The Sun include local news editor, business editor, assistant city editor and assistant features editor. She has covered religion, business, homes, real estate and lifestyle. Prior to The Sun, she covered small municipal governments and demographics at The Atlanta Journal and Constitution and education at The Gwinnett Daily News. Lillian was born in Lima, Peru, and grew up in Chicago and Atlanta. She has a degree in journalism/communications from Georgia State University. She speaks Spanish and is a lifelong French student. Nicole Irving is the founder/publisher/owner of Giggle Magazine and Irving Publications, LLC. She started Giggle Magazine out of her son’s nursery in 2009 and has watched it grow into an award-winning publication, most recently being awarded the title of the 2012 Business of the Year, Leading Women’s Enterprise. Irving graduated with honors from UF in 1999 and holds a bachelor’s degree in Sociology. 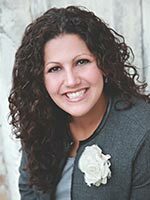 She is an active member of the Gainesville Junior League, an adjunct lecturer at the University of Florida, Chair of the executive board for the North Central Florida March of Dimes and is a director on the Florida Magazine Association board. Irving is also actively involved in several charity and business organizations in the community. Originally from New York, Irving arrived in Gainesville via Palm Beach Gardens in 1997 and has lived here since with her husband, Shane. Today, she is the proud mother to three sons, Tyler, Nicholas and Joshua. Spencer Mann graduated from the UF in 1978 with a Bachelor’s degree in Broadcast News. At that time, the most sophisticated piece of equipment used in the college was an IBM Selectric Typewriter with carbon paper. Mann spent several years in print and broadcast industry in North Florida. Mann transitioned into the criminal justice field in 1983 working for the Alachua County Sheriff’s Office and the Office of the State Attorney, Eighth Judicial Circuit. One of his primary roles was to handle news media requests. He spent over 30 years dealing with issues involving the request for public records and open government. Mann is a charter member and past president of the Florida Law Enforcement Public Information Officers Association. He is also an Accredited Public Relations Professional (APRP) with the Florida Public Relations Association. In 1992, Mann was named Public Relations Professional of the Year by the Gainesville Chapter of FPRA. He has trained professional groups throughout the country on crisis communications, as well as the professional relationship between the news media and governmental agencies. Jessica Marsh received a Master’s in Mass Communication in May 2016 from the University of Florida. In August 2016, she began her journey in teaching when she was hired by her alma mater to teach two lab sections of Multimedia Writing. In the past, she has contributed articles to The Independent Florida Alligator. Prior to entering the University of Florida, she studied at Flagler College, where she received a B.A. in Fine Art in 2005. It was at Flagler that she became aware of and interested in the media’s ability to shape user experiences and emotions. Renee Martin-Kratzer earned her doctorate and master’s degrees from the University of Missouri. She taught magazine courses for five years as an assistant professor at the University of Florida. After moving back to Missouri in 2010, she has continued teaching online courses for UF as well as teaching on campus at the University of Missouri. 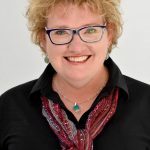 Her professional experience includes working as a design editor for the Columbia Daily Tribune, the founding managing editor of Missouri Life magazine and as a web editor to an education site. She has taught a variety of classes ranging from feature writing to magazine design to research methods. In 2009, she was selected as the University of Florida’s College of Journalism and Communications’ Teacher of the Year. Her research focuses on the effects of disturbing images and the use of anonymous sources in various media. She spends a lot of time chasing her 4-year-old twins and shuttling her daughters (ages 8 and 11) to activities. Joy Mayer is an engagement strategist whose work focuses on the continually evolving notion of audience engagement in journalism — how communicators can foster two-way conversations, collaborate with their communities and know who they’re serving and how well they’re doing it. She is a consulting fellow at the Reynolds Journalism Institute and an adjunct faculty member at The Poynter Institute. Until recently, she had spent 12 years as an associate professor at Missouri School of Journalism, where she created an engagement curriculum and a community outreach team in the newsroom of the Columbia Missourian and also taught web design and print design. 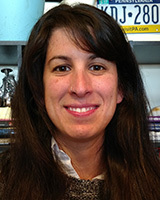 Kathleen McGrory is a reporter on the Tampa Bay Times investigations team. She was previously the newspaper’s health and medicine reporter. Before joining the Times in 2015, Kathleen spent seven years as a metro reporter for the Miami Herald and two years as a government reporter in the Tampa Bay Times/Miami Herald Tallahassee Bureau. She speaks Spanish and holds degrees from the Columbia University Graduate School of Journalism and Hamilton College in Clinton, N.Y.
Steve Orlando entered journalism writing, editing and doing paste-up and layout for the weekly Gulf Breeze Sentinel near Pensacola. 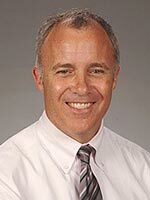 After earning a bachelor’s degree in political science from UF in 1986, he returned to UF in 1987 to pursue a degree in journalism and spent a semester as a stringer for the student newspaper, The Independent Florida Alligator, covering science and research. In 1988, he accepted a position as a state desk reporter for The Tampa Tribune, where his beats throughout west Central Florida included cops, courts, schools, city and county government, general assignment and features. He also did part-time editing. Orlando joined News and Public Affairs in 1996 as news desk editor and senior writer. 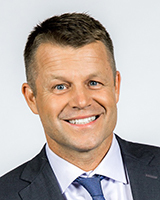 He became associate director in 2001, director for print media in 2006 and senior director for media relations in 2012. Orlando earned a master of arts in mass communication from UF in 2007. Adam Playford is Director of Data and Digital Enterprise at the Tampa Bay Times, where he leads the paper’s team of data journalists and web developers. Previously he was a reporter on the investigations teams at Newsday and the Palm Beach Post. At Newsday, Playford was part of a team that was a finalist for the 2014 Pulitzer Prize for Public Service for reporting on widespread police misconduct kept secret by state law. Playford graduated from New York University’s Gallatin School of Individualized Study. 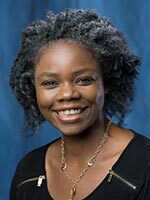 Czerne Reid, Ph.D., is a lecturer and Assistant Director of Online Education in the University of Florida College of Medicine’s Department of Psychiatry. She is also an adjunct lecturer in the UF College of Journalism and Communications. Reid is co-chair of the education committee of the National Association of Science Writers (NASW), which organizes a popular annual undergraduate travel fellowship, mentoring program and science writing internship fair. Reid has worked as a science writer and reporter at several outlets over the years, including UF Health Communications, The (Columbia, S.C.) State newspaper, the Milwaukee Journal Sentinel, The Salinas Californian (in John Steinbeck’s hometown), the Stanford News Service and the Stanford School of Medicine Office of Communication and Public Affairs. As a 2007 Kaiser Media Fellow, Reid completed an award-winning newspaper series on the impact of HIV/AIDS in South Carolina. 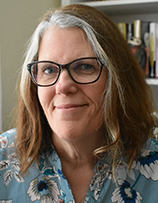 She has received awards for her work from the South Carolina Press Association and the South Carolina Medical Association, and fellowships from the NASW and the Council for the Advancement of Science Writing (CASW). 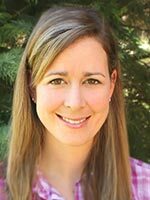 Dr. Reid earned her Ph.D. in environmental chemistry at Emory University, and a graduate certificate in science communication at the University of California, Santa Cruz. Her bachelor’s degree in chemistry is from the University of the West Indies, Mona, in her native Jamaica. Jon Roosenraad is an emeritus professor of journalism, having taught in the college since 1968. 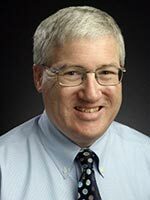 His professional experience includes the Lansing (Michigan) State Journal and The Gainesville Sun. 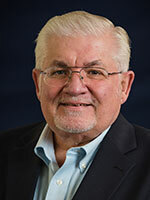 He served 30 years as an administrator in the college, first as chair of the Department of Journalism and then as the college’s assistant dean for student services. After retiring in 2008 he continues teaching in the lab portion of JOU 3101, basic reporting, and JOU 4700, problems and ethics of journalism (a course he originated). Melanie Fridl Ross, MSJ, ELS, is chief communications officer for UF Health, where she oversees strategic communications and public affairs, marketing, news and publications, advancement communications, creative services, and web services for the system’s Gainesville and Jacksonville campuses. Ross also serves as senior producer for the public radio series “Health in a Heartbeat” and for the animal health program “Animal Airwaves,” overseeing operations for both internationally aired award-winning consumer health series. In addition, she is on the adjunct faculty at the University of Florida’s College of Journalism and Communications, where she has taught a news reporting lab since 2004. Ross joined UF in 1992 from The Tampa Tribune, where she was a reporter. She holds a bachelor’s degree in American studies from Northwestern University and a master’s degree in journalism with a concentration in newspaper administration from Northwestern’s Medill School of Journalism. She is a board-certified editor in the life sciences. She is a past president of the 5,600-member American Medical Writers Association and past president of the organization’s Florida chapter. She also is a member of the Association of Health Care Journalists, the Board of Editors in the Life Sciences, the Association of American Medical Colleges and the National Association of Science Writers. 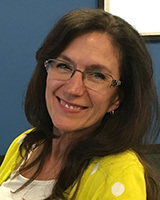 Diana Schuh has been an adjunct lecturer for the College of Journalism and Communications since 2005. She holds a bachelor’s degree in journalism and sociology from New York University and a master’s degree in social work from the University of Georgia. 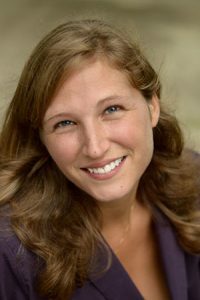 Her freelance writing credits include The Tampa Bay Times, Athens Magazine, Hi Fidelity, the Atlanta Journal-Constitution, The Gainesville Sun and Gainesville Magazine. She also spent several years as the city commission reporter for the Athens (Ga.) Banner-Herald where she won second-place in feature writing from the Georgia Press Association and was honored by the National Association for Social Workers for her work covering social service agencies in northeast Georgia. She also spent three years as the assistant editor and head copy editor for Atlanta Intown, a weekly newspaper. 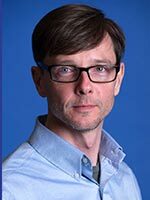 Richard Shaw joined the College of Journalism and Communications at the University of Florida in 2017 as an adjunct faculty member, teaching in the Innovation New Center for WUFT, the student-produced online regional news organization serving Gainesville and Alachua County. He was a faculty member for visual journalism at the University of Missouri School of Journalism and served as director of Pictures of the Year International (POY) for more than 13 years before retiring. Shaw also specializes in drone technology as an emerging tool for journalism. He holds a Private Pilot license under FAA Part 61 and a Remote Pilot license under Part 107. Shaw’s prior newspaper career spans 27 years in visual editing and management. 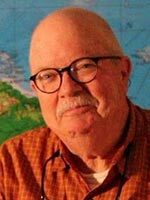 He served in a variety of senior editing roles for newspapers such as The Sacramento Bee, The Florida Times-Union in Jacksonville, The Arizona Republic in Phoenix and the Hartford Courant. In 1991, Shaw was part of the editing team for The Sacramento Bee that won the Pulitzer Prize for Public Service, responsible for both the photo editing and page design for the series, “The Sierra in Peril.” Shaw holds a Master of Arts degree in Journalism. Cindy Spence is a science writer in the UF Office of Research Communications and spends her time talking to people who know far more chemistry and physics than she does. She received her bachelor’s and master’s degrees from the College. As an undergraduate, Spence was editor of The Independent Florida Alligator. Spence’s journalism career ranged from the night cops beat at The Orlando Sentinel to assistant state editor at The Tampa Tribune, with assorted beats and editing gigs in between. She has transitioned from journalism to public relations twice, working as the campus news desk editor for UF in the 1990s and writing about UF research, science and scholarship since 2013. Her work has been recognized by the Council for the Advancement and Support of Education. She is a member of the National Association of Science Writers and the University Research Magazines Association. 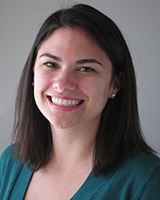 Sarah L. Stewart is a freelance writer and a graduate of the College with a bachelor’s degree in journalism. 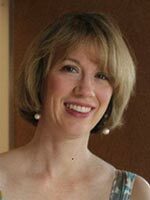 She began her career as a features writer at The Gainesville Sun, then later moved west to work as a staff writer and editor at the Vail Trail in Vail, Colorado. As an undergraduate, magazines had been Stewart’s first love, so starting in 2008 she transitioned away from newspapers to begin writing for magazines as a full-time freelancer (www.sarahlstewart.com). Her work has since appeared in national and international publications including Travel + Leisure, Hemispheres, Backpacker, Outside, The Huffington Post, Martha Stewart Weddings and the UK Daily Telegraph. Stewart recently moved back to Gainesville and began teaching magazine and feature writing at her alma mater, where she hopes to inspire the same love of the craft that she found in her own undergraduate years. Michael Stone is a journalist and photographer focusing primarily on health care, technology and history, especially World War II, but who has covered just about any and every subject area. He has worked for several different print and online publications as a freelancer and as a full-time writer, reporter and editor. 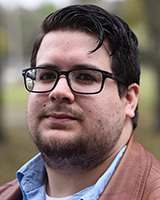 Since 2013, he has taught undergraduate courses at the University of Florida, including News Center Practicum, Problems and Ethics in Journalism, Multimedia Reporting, Multimedia Writing, and Writing Mechanics. He holds a bachelor’s in journalism from Middle Tennessee State University and a master’s in health/science communication from UF. Award-winning editorial/institutional/corporate photographer since the Dark Ages (the 1960’s). Outdoor writer and photographer specializing in fishing and regional travel. Photographer of 17 coffee-table books (Harmony House Publishers’ American College Series) and two fishing guides to the Gulf of Mexico (University of Florida Press). Regional editor and food columnist, Florida Sportsman magazine. Blogger, Original Florida Tourism Task Force/ travel.naturalnorthflorida.com (fishing and boating, food and dining, events and activities, off-the-beaten path). Executive director, Florida Outdoor Writers Association. Pat Yack is Chief Content Officer for Alaska Public Media in Anchorage, Alaska. Alaska Public Media is the home of KSKA-FM, KAKM-TV and the Alaska Public Radio Network. Yack has more than 30 years in the news business as a reporter, department head, managing editor, editor, and broadcast leader. His past assignments have included: DC bureau chief, The Denver Post; national editor, The Atlanta Constitution; managing editor, The (Eugene, Ore.) Register-Guard; editor, The (Greensboro, N.C.) News & Record; and editor, The Florida Times-Union. He was the 2009 Atwood Chair of Journalism at the University of Alaska Anchorage. 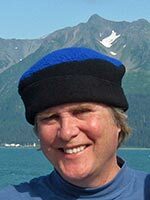 He remains on the adjunct faculty at UAA where he has taught classes in visual communication, beginning and advanced reporting, Web journalism, and Movies and the First Amendment. Yack is a member of PBS’ Digital Advisory Council, a national group that advises PBS on a variety of contemporary issues. As chief content officer, Yack and his team created Indie Alaska, an innovative web series sponsored and promoted by PBS Digital Studios. Yack is a member of the Alaska Press Club and is a supporter of the Committee to Protect Journalists. He has been a Pulitzer juror twice. Prior to moving to Alaska, Yack was a board member of the Florida Society of Newspaper Editors. He served as its president for two terms. He and other FSNE leaders launched Sunshine Sunday, a statewide effort that called attention to the erosion of open meetings and open records laws. Sunshine Sunday provided the foundation for creating the national movement, Sunshine Week. He took an active role in the American Society of Newspaper Editors, serving as the co-chair of the Freedom of Information Committee and Chair of the Membership Committee. He has served on the board of the First Amendment Foundation and the American Press Institute. Yack holds a Bachelor of Fine Arts degree in journalism from Southern Methodist University. He is a member of journalism department’s advisory council. Cyd Zeigler is an award-winning journalist writing primarily about the issues of sexual orientation and gender identity in sports. 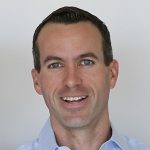 Co-founder of Outsports.com, Zeigler has been instrumental in generating and leading the national and international conversation about LGBT athletes for over 15 years. His work has led to the public coming out of dozens of athletes at all levels, including former NFL prospect Michael Sam and former NCAA basketball player Derrick Gordon. Zeigler has welcomed the blurred lines between advocate and journalist, using his platform to advance policy and education in all levels of sport, from high school to the pros. A graduate of and former instructor at Stanford University, Zeigler now teaches Sports and Social Issues in the School of Journalism.